Anyone loves to achieve silky smooth legs and a flawless bikini line and by having this obviously, gleaming and hairless skin in times and situations where bare skin has to be exposed, during summertime, on the tennis court, or simply when out hanging with friends. It feels great when someone can finally wear the swimsuit or the outfit they have been looking forward to use. For all these reasons and others, all salons, spas, day-spas see their clients rushing to the hair removal services. Getting rid of unwanted body hair is popular and highly in demand amongst women and men alike. Wax warmers are probably the most important equipment for hair removal services, whether waxing at-home or in-salon. Waxing is definitely the most effective method in order to eliminate undesired hair through an entire body, on hard to reach area as well as on generally waxed areas of the body. All the myths concerning shaving might be over when you learn about waxing. Unwanted hair cannot be considered a nuisance, but it can indeed be uncomfortable and quite unappealing. Hair waxing can be performed with small strips to prevent the removal of hair that you want: warm wax is heated up in a wax warmer, at a suitable temperature which is not too hot to apply and will not burn your skin. In some instances you tried by means of several products to remove the hair, but it continuously grows back thicker. That is why wax warmers and the correct waxing products are necessary tools that help you show off your best assets and decrease the frequency of hair removal sessions while thinning and slowing down hair growth. Many types of waxes available in the market nowadays eliminates unwanted hair and work for any types of skin. For underarms and bikini area, there is a hard wax that will take out the ingrown hair from this particularly sensitive part of skin. For face, arms, legs and stomach you may consider using another kind which is a softer type of depilatory wax. Hard wax without strips is used from a particular angle so that it can easily grab the head of hair completely from the first application. Benefits of waxing is attractive and obvious to all individuals: as a result of root pulling, new hair growth starts around three weeks after waxing. Hair growth is therefore delayed compared to razor or even tweezing. Wax Warmers function is to melt wax and keep it at the correct temperature throughout the day; they can be refilled as needed. Containers and wax warmers can be cleaned with an-all surface special cleaner (check out Saticlean wax cleaner). Wax warmers are usually widely accessible in many retail shops and may end up being purchased online through retailers or dealers. Always look to acquire Professional Wax Warmers for their reliability, safety and effectiveness. Wax warmers eliminate the fear to burn skin with overly heated wax. Always maintain wax warmers at the correct recommended temperature in order to achieve a flawless comfortable hair waxing procedure. Look for warmers that deliver a steady heat and maintain it. Heat the wax warmer to the maximum temperature at first, then lower it and maintain wax warm throughout the time you need to wax. Use the depilatory wax once it reached a comfortable temperature. Using the wax at high temperature may result in burning skin. Shaving you face gives only limited-term outcome and anyone may end-up with hard as needle hair, nicks and razor bumps. Waxing will be maintained much longer in comparison to shaving, with the added benefit that pores are smoother and skin lustrous. For delicate areas of face i.e. lips chin, eyebrows, and side burns warm wax can be in safely applied and can be easy to use, with expert results at home. You would however need practice and a user friendly manual. Many people are ashamed to request waxing in some parts of their anatomy. This is where waxing at-home may be an alternative to avoid embarrassment. Remember though that Professional Estheticians and Hair Removal technicians are trained to deal with any kind of hair removal service! After few years of experience, be assured that they have seen it all. Laser hair removal might be an option for people with dark hair and willing to spend a large $ amount. Although it claims to be definitive, laser hair removal is long, expensive, and results might not reach expectations. Drawbacks include but are not limited to hair re-growth, pigmentation spots and skin dryness. Manual waxing is an affordable long-lasting cost-effective solution for most. It pulls the hair from its roots, leaving an exceptionally clean glowing skin. Using a good wax warmer helps increase self-confidence: you know you can rely on a perfectly melted wax, always maintained at its peak performance temperature. Lots of individual preferences are usually influenced by false ads and unnecessary offerings and claims when it comes to wax warmers. Look for a reliable foolproof apparatus, simple to use with no gimmicks and superfluous gadgets. At times, wax warmers can be offered as part of a waxing kit: in addition to numerous depilatory cooling gels, before and after-wax lotions and oils, the kit may include a very useful wax cleaner for a complete rewarding depilatory treatment experience for the provider and the client. Depilatory pre and post products prepare the skin for the hair removal procedure and complete any hair waxing session. Although professional waxing salons and spas tend to be nearly in everywhere, the option of home waxing has become an increasing alternative for most. Waxing was once considered to be a necessary however hated job. New types of undesired body hair removal products are actually available in the market, like cream wax used lukewarm, for those who have a particularly sensitive skin looking for a painless procedure that would leave no irritation on skin. Some have an aversion for warm wax; they probably have experienced overheated wax, and ended deciding to use a cold wax instead. Truth is that cold wax is definitely not as effective as warm wax. Here is good news: a wax warmer leaves the waxing mess out, and delivers constant warm wax throughout the whole waxing process. as the number one product that relieves the stress and mess that always came along with home waxing. 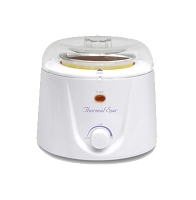 Acquiring a wax warmer offers the main advantage of keeping the heated wax at a constant temperature so that the specific too hot wax problem is resolved. The bikini, underarms, and abdomen need and require lower temperatures because the epidermis and deep skin layer is much more sensitive in these body parts. Therefore with a double wax warmer you could have both temperatures all set in advance. Wax warmers are making the hair removal task simpler. 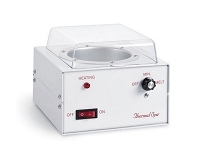 Safety factors are another characteristic that should not be overlooked when acquiring a wax warmer. Prefer Wax warmers with reliable accurate thermostats. Waxing is a genuine way of traditional hair removal that will leave skin feeling gentle, smooth and clean. Simply speaking, Wax Warmers melt any type of wax, and maintain it at the set temperature for optimal comfort and effectiveness. They eliminate the mess associated with traditional stove-top wax heating, they can be refilled and used over and over again. In a professional setting, wax warmers are kept fill and ready-to-use all daylong. Use wax warmers for smooth depilatory wax and a flawless rewarding waxing procedure for both, the client and the treatment provider.